SAG IPL is a result driven web design company in Jaipur, India which take your online services to the next level also known for smart, innovative, intelligent, unique and creative web design solution. We create the design that make Internet the best place to feel information. If you can envision it, we can design it. A great web design can help you gain and sustain more customers. To market your products today, you do not need to go at every door step to info about them because you can all do this by just making an interactive, attractive website. And you can also do this with available open source tools that provide you the facility of custom website development for better results. For a website two things matter most: Design and Functionality. A good design attracts users and right functionality provides users rich experience on the website. Our experienced designers provide designs as our clients want in their own preferred style according to their business objectives. When you give your website to us, we make it compelling and engaging. Our designers deliver effective results by developing custom websites keeping SEO feature in mind. Additionally, we have comprehensive web design packages in India. To know about it contact us. At SAG IPL, our designers not only make attractive designs for your website, but they satisfy you customer with better user experience. Our website designers and developers have quality experience and in-depth expertise in developing flexible, robust and fully functional website for you. So whatever your requirements, we are able to deliver them as you want with latest tools and technologies. We will provide you better results as we have both excellence and innovation which make us Best Web Designing Company in India. Our creative custom website design aims at building better customer experience. Here is the list of custom website design services offered by SAG IPL. 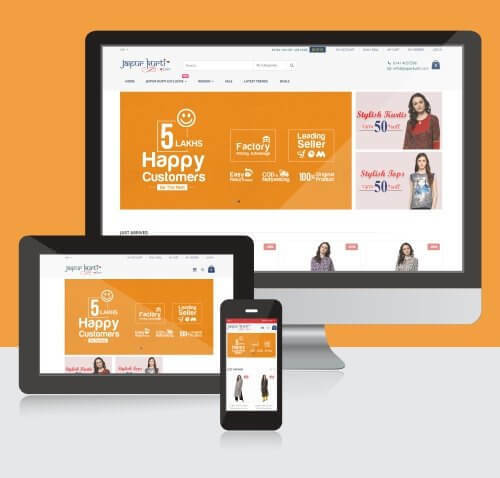 Our responsive web designing service covers a range of application including web portals, mobile sites, blogs, online portfolio, business and personal websites, news portals, magazine sites, online shopping (ecommerce) websites and more in almost every industry. 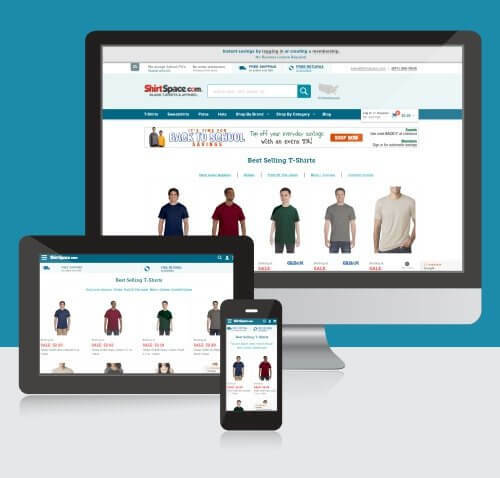 All our websites are designed to be compatible with mobile and desktop devices alike. A static website is usually designed in HTML and contains no database connection. It is suitable for the informational sites that do not involve real-time activities. A dynamic website, however, requires specific design and connection with the database to implement the functionality. We design all kinds of static and dynamic sites. We have dedicated UI designers who will design the perfect interface for your mobile application, desktop website, web portal, or any other kind of website. Our UI designs are clear, concise, consistent, responsive, user-friendly, efficient, easy to navigate, attractive, flexible and made specifically for your website or application. We also design customized responsive themes and web design templates for all types of websites and portals. Basically, we can design almost any template that you can imagine. You just need to provide us with the details of the design you want, and our expert web designers will create it for you. At SAG IPL, you can find and hire the right designer for any of your design and creativity requirements. We also design print-media, logo, brochure, InfoGraphics and everything else that demands amazing graphics. You can even hire our graphic web design services to get the complete design for your graphics-rich website. 3D animations are becoming very popular these days mainly because they are more realistic and look better. 3D animations and designs are no longer limited to games and movies, with many websites now using them to attract more customers. We can help you create the perfect 3D design, art or animation for your site or mobile app. Does your website or application needs redesign? We can help you find the perfect design idea for a complete makeover of your existing web application Website redesign is needed when your current site takes too much time to load, is not attractive enough, and/or has very bad navigation. If you have a specific design idea in mind, feel free to communicate the same with us, and our web design team will make sure to create a wonderful custom web design that perfectly fits your vision. We are only too happy to help you realize your visual imaginations. The value of a design depends on the process of its creation, and we make sure ours is the best. Check out how SAG IPL use the following a structured web design process to help you deliver more successful websites faster and more efficiently. We meet with you to find out more about your idea, your vision behind the design, and your requirements. The purpose of this meeting is also to start a trustworthy relationship with the client. This is also where we build a rough design of your idea, create a strategy and set goals. The planning phase involves setting up milestones, choosing the right design team or designer and coming up with the final plan for designing of your application. Your design is created by our hand-selected team of designers who will implement your ideas and requirements to create a uniquely amazing and attractive design for you. Each of our designs are reviewed and tested in real-time by our proficient team of quality analysts who will test your design in real environments, find out bugs if any, and get them removed. The final custom design will be delivered to you or launched on your server as you prefer. You will get ample time to review your project and get back to us with a feedback. Our support team is always there to help you with your questions and further updates about web designing services. We take pride in being different from many other web design companies out there in that we don't just accept a project and try to finish and deliver it ASAP, but we prefer to get to know our clients, their idea and imagination, and then use all of it to build the perfect web design for the project. We'll build a unique strategy for your project and then use the right mixture of technology and creativeness to build a design that clearly reflects your website's vision. Furthermore, our designs are SEO-optimized to make your website targetable in the popular search engines. Wondering if you’re at the right place? SAG IPL is one of the leading providers of website design services across the world. We have been in the business for over 10 years and have worked on over 500 projects including some of the most amazing web design project for many industries. We specialize in building custom designs based on the unique visual ideas of our clients. If you have a unique design idea that you would like to convert into a website or application, you are definitely at the right place. 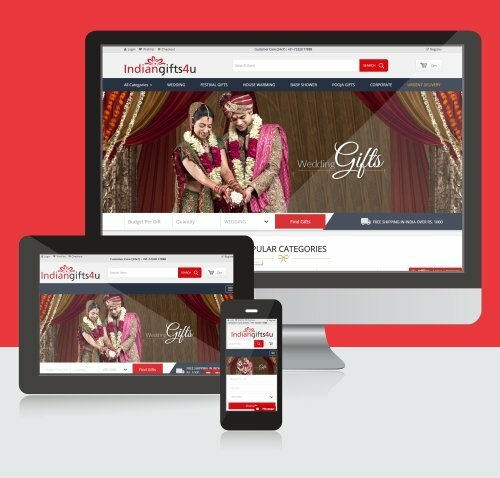 We have designed more than 1000 websites since our doors opened, and we form lasting relationships with every one of our customers. Web design encompasses many different skills and disciplines in the production and maintenance of websites. 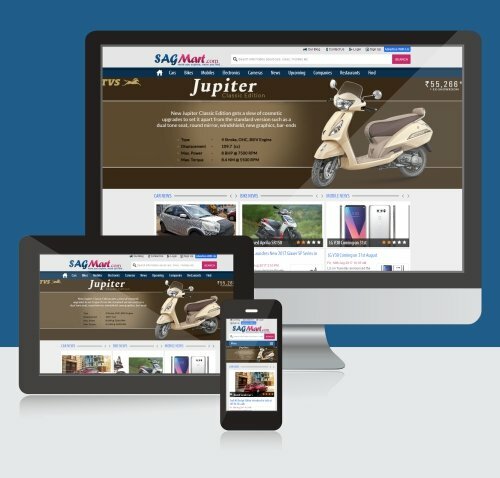 If you're looking to further your understanding of what SAGIPL have to offer, you can find all answers here! We want to make sure you are armed with all the details and information you need to choose the website designer who is right for you! 1How much does website design cost? 2Why should we hire SAG IPL? 3Will I be able to provide inputs during the design process? 4Will you provide original photographs for my design? 5Does SAG IPL also provide web hosting services? 6What if another company is offering similar design services at lower cost? The design of your website or application depends on a lot of factors such as the website length or size, features, requirements, complexity, etc. Let's discuss these things to figure out an optimum cost structure for your design project. There are many reasons. You can read some above. To conclude, you should hire us because we can design it for you, that's what matters the most. Check out our most recent web design examples. Of course. It's your project and you have every say in how your design is created. Do reach your assigned account manager anytime to convey your message or to communicate with us. We only use authentic images in our design works. We have dedicated photographers and team to prepare good quality photographs as per need. Yes, we can help you purchase the right domain and with your web hosting needs. We will even upload your website on the server, if you need. Honestly, if you are not already convinced by our services and work quality, you probably have no reason to choose us. But know that web design is a serious process which requires a lot of dedication, time and efforts from our side. We still try to keep our cost at the low side. If someone else is offering design services at an even lower rate, they are probably fake and not trustworthy, so be aware of them. We believe there is no payment bigger than customer satisfaction. If you still have a question in mind, feel free to contact us anytime. Here is what they say about our website design services! SAG IPL designed and developed my website. I’m extremely happy with the service and quality of their work. Been a novice to web development process they took step by step through the different stages for my website. Calling up with inquiries the team were always available and willing to help. I’ve given SAG IPL the contract to do the SEO as well. Thanks SAG and keep up the good work. I have worked with SAG IPL and the team on a good number of jobs now. I consider them an extension to my business. People in software understand that there are always hurdles to overcome on a large or complex job. I have done hundreds of projects and used a large number of outsourced labour. One thing that they do better than the rest is communication. He is available almost every time I need him and this gives me peace of mind. I have strict quality controls in my business and I have been happy with SAG IPL's will to be better. He has had to learn to keep up with my testing and quality demands and has shown continual improvement. I have several jobs with him at any one time. Fascinating Logo Design Trends 2017-18 You Can’t Ignore!!! For a brand or company logos are more important than ever… Like Rachel Zoe said, “Style is a way to say who you are without having to speak.” These outstanding logo design trends 2017 will give you better ideas for new or old company logo… Let’s Digg into it!! The post included some of the very important and acknowledgeable stats, with the help of which you can make your digital platform more suitable as per the running trend. Parallax is one of the most emerging and most loved design trends of the current era. Most of the developers are using parallax as the main feature of their themes and designs nowadays.